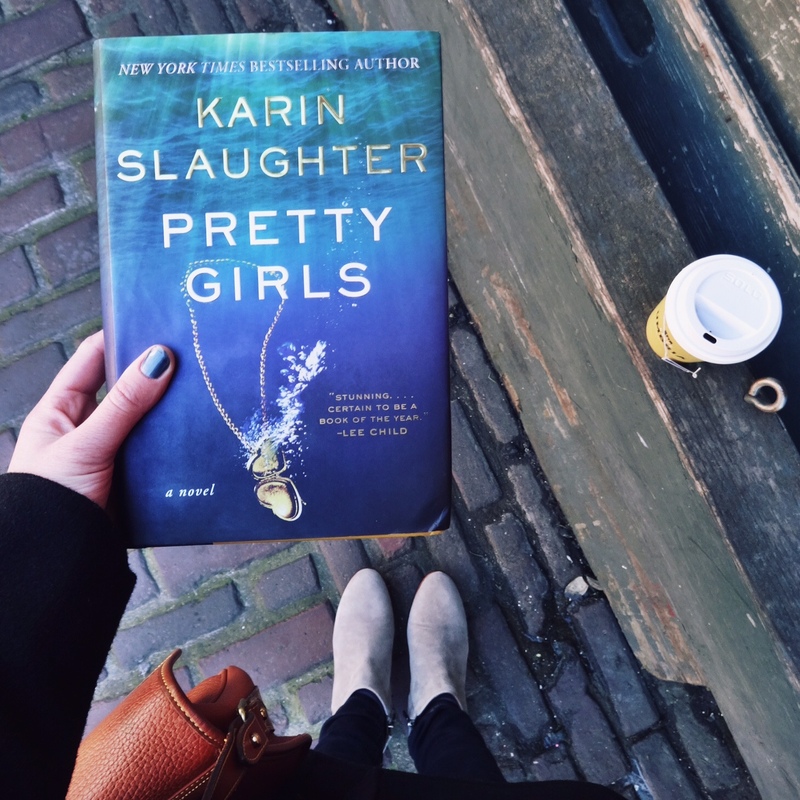 I was absolutely unprepared for the nasty horror in Pretty Girls by Karin Slaughter. This was the first book I’ve read of Slaughter’s (her last name seems fitting now) and didn’t know what to expect. Maybe it was the bright cover and whimsical looking locket, but it sure fooled me. That being said, I did really enjoy the book and was completely absorbed from the start. The Carroll family has been through hell. The eldest daughter, Julia, disappeared when she was 19 years old and no trace of her has been found over two decades since. The two remaining daughters, Lydia and Claire, haven’t spoken for 18 years, but are reunited when horror strikes again. Claire’s husband Paul has been murdered in front of her eyes and she turns to her sister for support after 18 years of separation. As Claire learns more about the husband she trusted wholeheartedly, her world starts to fall apart and every nightmare she hadn’t imagined comes true. The silver lining of this horrific story is that the sisters who have held so much anger and pain in their hearts for so long, find their way back to each other, even if it’s under terrible circumstances. Lydia and Claire are outspoken, hot-tempered, and clever, so I really enjoyed reading about them. Slaughter is a talented writer, spinning a twisting plot with engaging characters. I was horrified by some of the ghastly scenes she has constructed, but I stuck with the novel and wanted to see what happened to Claire and Lydia. This book had me gripping the binding and clenching my stomach with nerves. I didn’t realize this until my roommate walked in and sent me jumping off the couch. Here is fair warning, this book isn’t for the faint of heart, but it’s worth a read anyway. This sounds great! Thanks for the review – I just added it to my TBR. I can see why, her books are so gripping! That’s one of my favorite parts of reading! When the characters stop feeling fictional and start feeling like friends! It sounds gooood! When I read the title the song by Britney Spears and Iggy Azalea just popped up in my head. Rather have this book as a reference when I see those two words haha. Haha when I type the title in google that song is the first thing to pop up! I wish my photography skills were nearly half as good as yours. 😂 And thanks! I will definitely check this out. Ahh thank you, that’s so nice of you to say! I’m sure your photos are great too! It’s crazy to think how much my photos have improved over the last 6 months though.. Thanks for the review! I just ordered this one a few days ago and can’t wait to read! If you have a minute check out my blog https://readsbyamy.wordpress.com/ I am new to the book blogger community and would love some feedback!